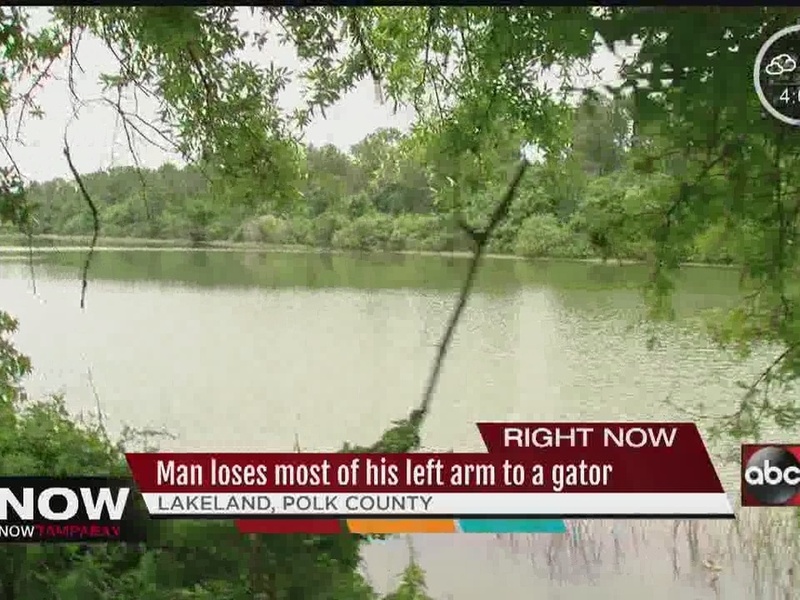 LAKELAND, Fla. -- A young man trying to avoid Florida police lost his arm to an alligator in a lake Wednesday evening. 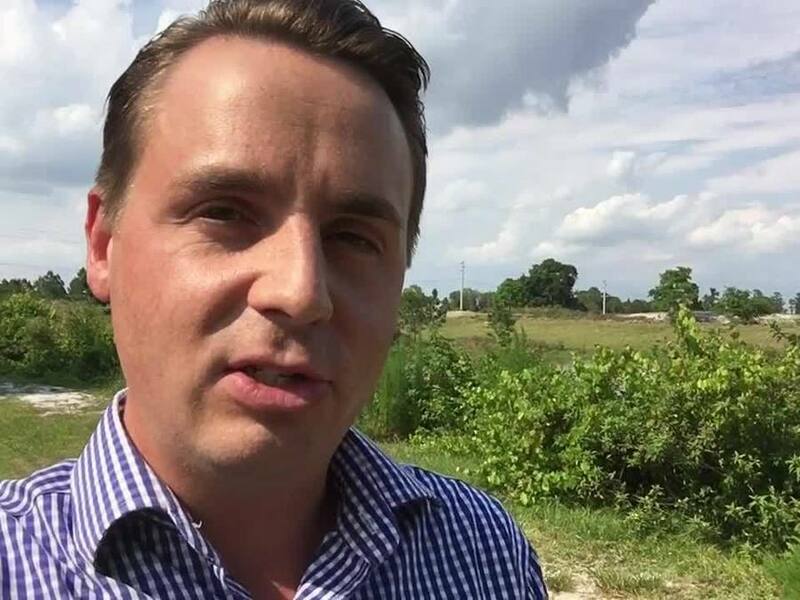 Police said Jessie Kinsinger, 21, had a disagreement with his mother and ran into a wooded area behind their apartment in Lakeland, Florida. The mother told police Kinsinger was in need of psychological help ,and she worried he was having "an episode." Blood hounds, a helicopter and multiple officers on the ground began searching for Kinsinger. Using witness reports to track his location as he ran, officers eventually located him from the sky lying on the ground by a nearby lake. Officers said Kinsinger swam across the lake, and got out near a sign that read: "Caution! Alligators frequent this area!" Kinsinger's brother-in-law, Mike Taylor, was one of the first to find him on the shore, bleeding profusely and in a lot of pain. "He said my hand hurts and I go 'Jessie, you don't have a hand'," said Taylor. Taylor said he took off his shirt and applied pressure to Kinsinger's arm to try and stop the bleeding. "According to the doctors and the paramedics, if I wouldn't have applied that pressure and the tourniquet he would have bled out and died," he said. Kinsinger was missing three-quarters of his left arm. 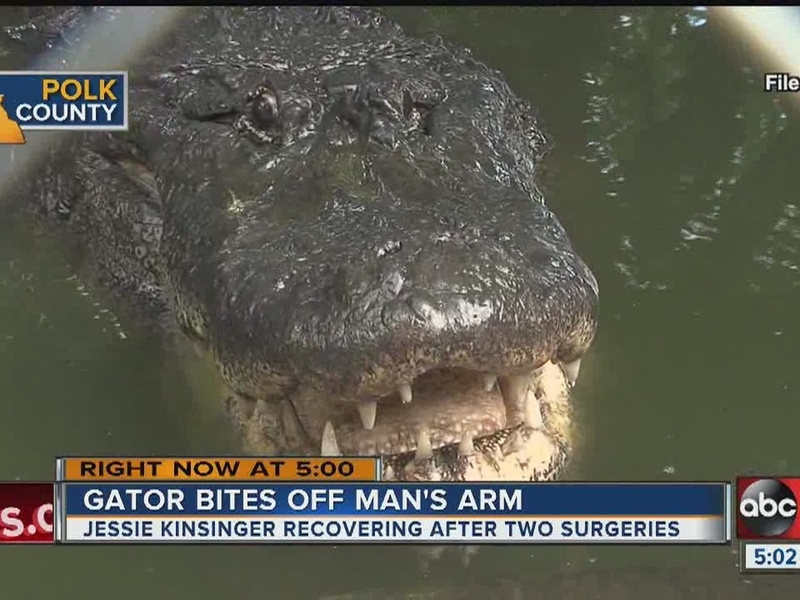 It is presumed an alligator bit it off. There are no criminal charges pending at this time. 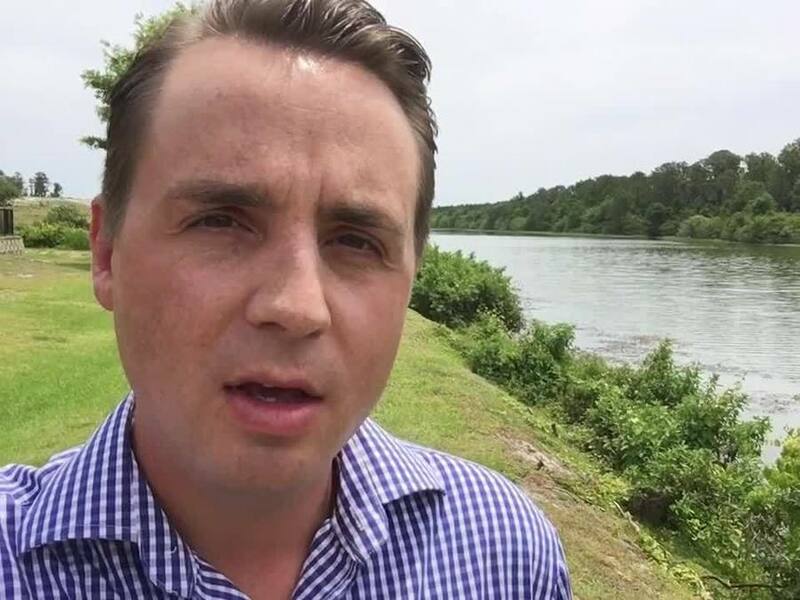 Kinsinger was receiving treatment at Lakeland Regional Medical Center as of Thursday afternoon. Officials from the Florida Fish and Wildlife Conservation Commission were searching for an estimated nine- to 10-foot alligator. If they find it, the gator will be removed because it is a public safety hazard.